This picture pretty well sums up the last few weeks here on the farm. We have been planting, transplanting and watering. Throw in some weeding and an average day is complete. 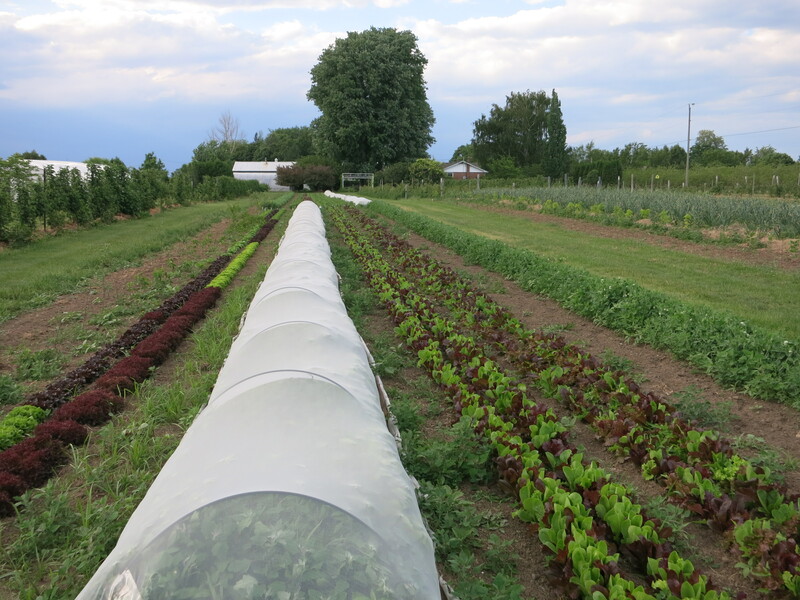 Many of our vegetables are started in the greenhouse & then transplanted into the field at the appropriate time. 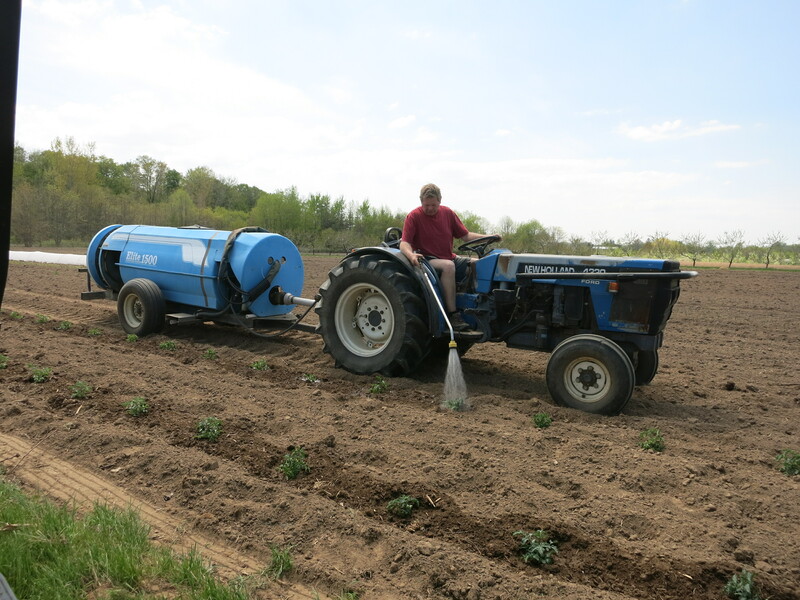 In the picture above, (taken 2 weeks ago) we have just finished transplanting tomatoes and I am watering them in. We always water the transplants – it helps to get them off to a good start. Usually that initial watering at transplanting time is enough. 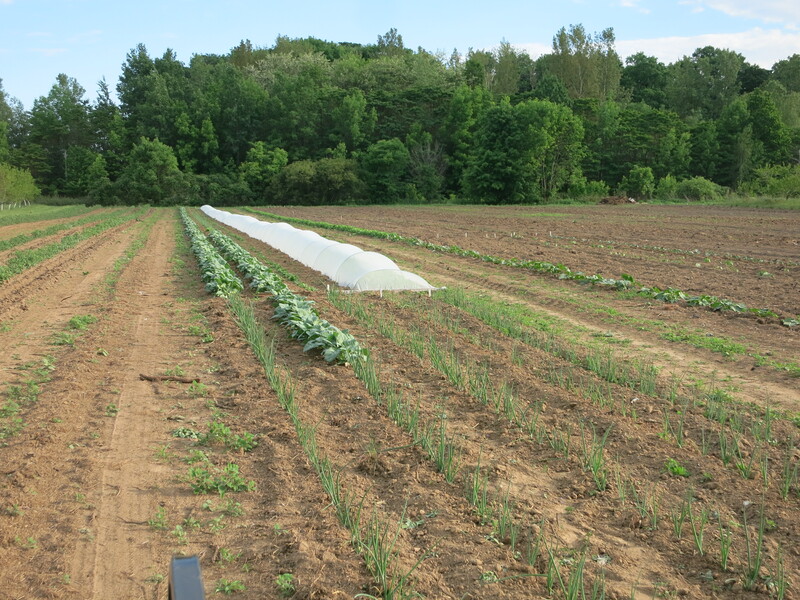 After that the vegetable plants are on there own, relying on the rain to keep them watered. But because the precipitation has been scarce lately, we have taken to watering them several times, just to ensure a good start. 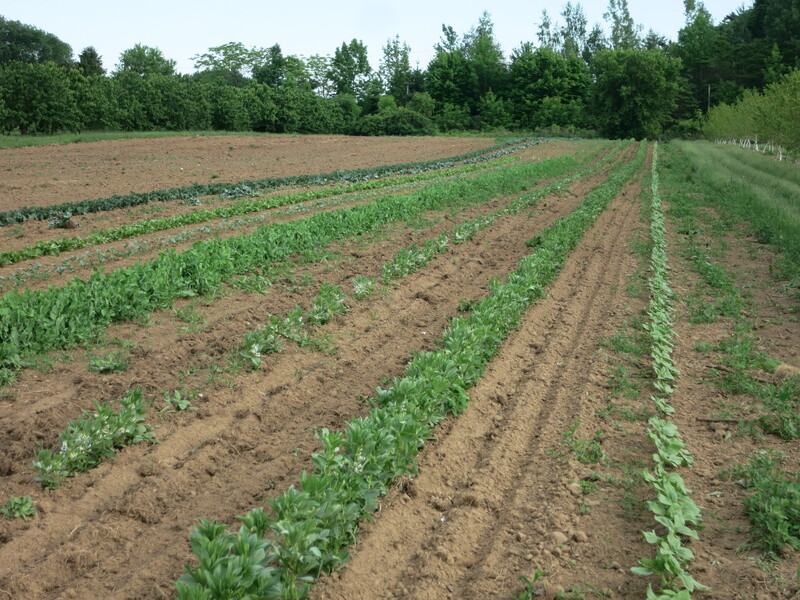 The vegetables have been enjoying the warm temperatures, but the lack of regular rain has slowed down their growth. On the weekend we received some small rains – not a lot, but enough to refresh the plants & the soil and really perk things up. Of course the weeds were also beneficiaries and are responding vigorously! 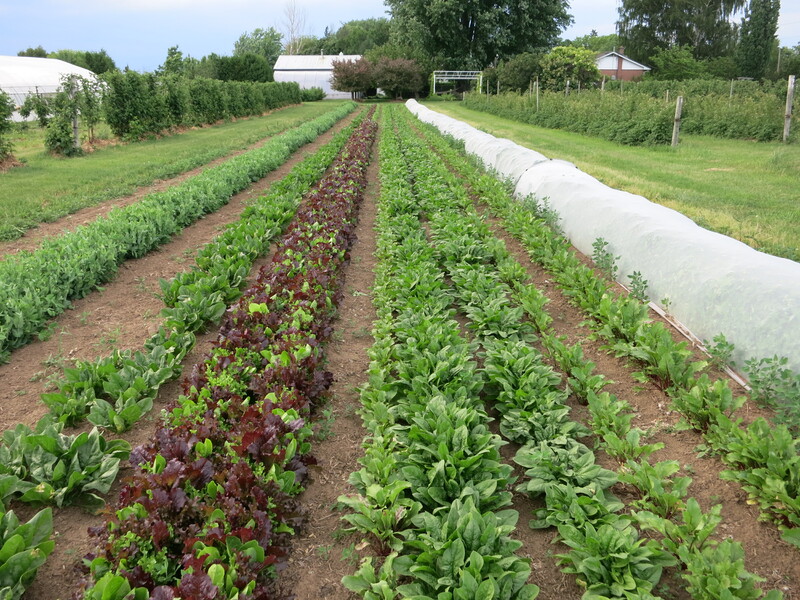 The colourful lettuce mix & spinach seen below will be part of the CSA boxes this week. lettuce mix, spinach, misc. greens, radishes, pea shoots & rhubarb. 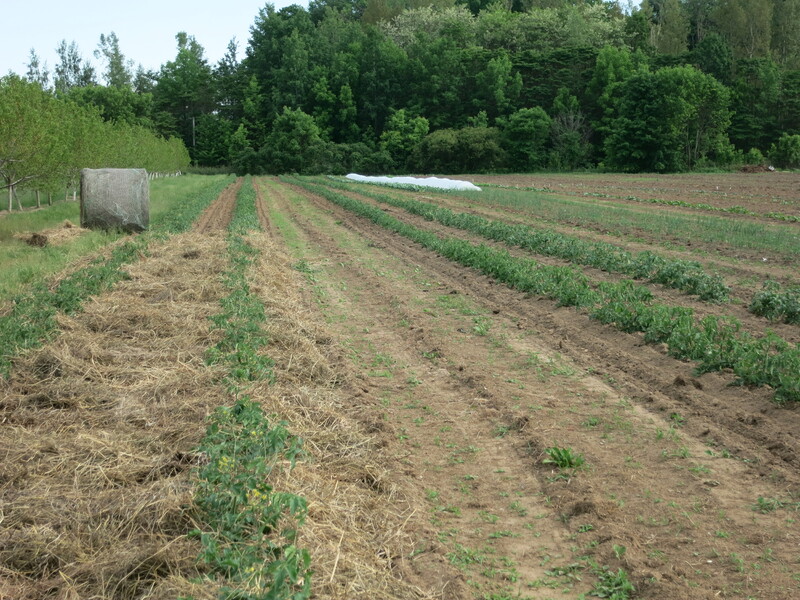 The lettuce mix & spinach & greens have been rinsed once to remove some of the field dirt. You will want to wash them more thoroughly, then bag them & keep them refrigerated. We grow an assortment of greens – this week most of them are baby pak choy. We prefer to eat it stir fried with a bit of sesame oil. Heat it very briefly so it retains the bright colour & crispness. The first radishes of spring are always a sharp treat. The degree of heat depends a lot on the growing temperatures. Based on that, they should pack quite a punch after the hot weather last week. They will store well in a bag in the fridge – remove the leaves first. If they lose their crunch, soaking them in ice water for 20 minutes will restore crispness (it will also make them milder tasting though). Pea shoots – excellent in salads or stir fries. Just place the box outside in partial shade or inside near a window. Keep them well watered & use as needed. Cut them about half way down, leaving stem & some leaves. They will grow back – slowly – and you can harvest them again. 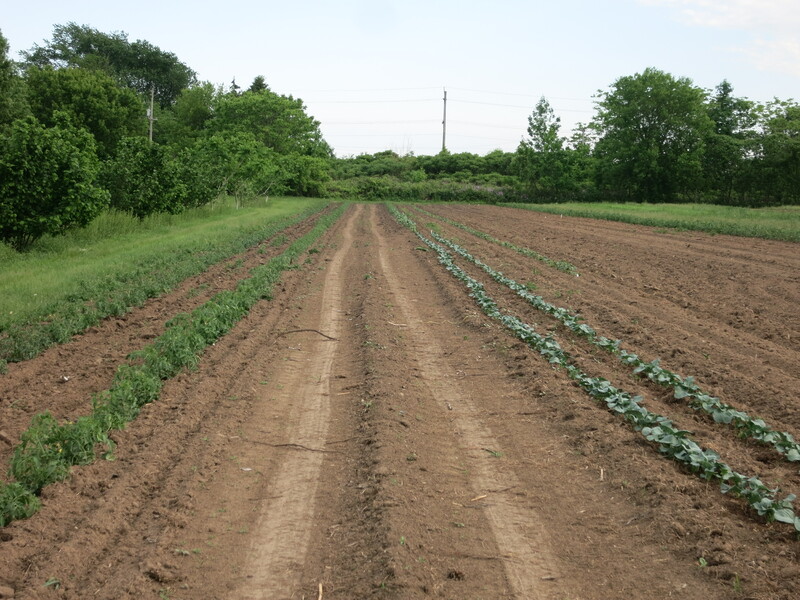 Cutting them all the way down at soil level gives a larger harvest – but only once. Bake for approx.. 12 minutes in the microwave. We are excited to be starting CSA for another season. Looking forward to seeing everyone at pick-up this week!